The National Academy of Engineering (NAE) has elected 67 new members and 11 foreign associates, announced NAE President C.D. (Dan) Mote Jr. today. This brings the total U.S. membership to 2,250 and the number of foreign associates to 214. Eleven of the Foreign Associates of the NAE are from Israel: seven from the Technion, two from the Weizmann Institute of Science, one from the Tel Aviv University and one from the Ben Gurion University of the Negev. 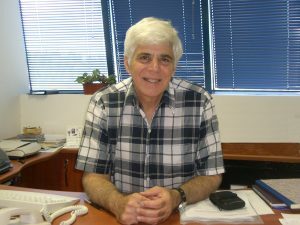 Prof. Gany is the second Foreign Associate of the NAE from the Faculty of Aerospace Engineering at the Technion, joining Dist. Prof. Emeritus Daniel Weihs, who was appointed in 1996.